Notes: This is my Tsukubai bowl in the garden. Once again, it’s full of rainwater and there are dead leaves inside which really need clearing out. I photographed it on Day #147 too. But this time I think it’s more of a metaphor for my recent moods – various factors have had me up and down of late. 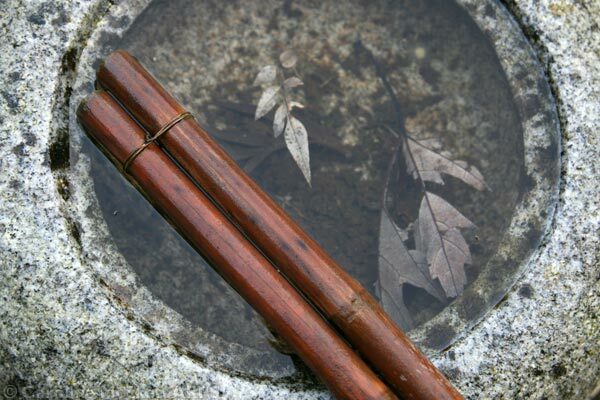 I’m just not sure when I get up in the morning if I’m going to feel like the bamboo, calmly floating on top of it all – or like the leaves, submerged, and in need of fishing to the surface. Hey ho. I guess it’s the Winter Blues.